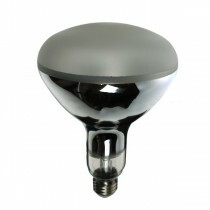 The Osram Ultra-Vitalux 300w E27 lamp is a self ballasted (works directly from mains supply) UVA/UVB lamp. vivariums to assist with the production of vitamin D due to depletion of sunlight in an artificial enviroment. Please note Osram Ultra Vitalux lamps emit UVA/UVB radiation that is dangerous to the human eye.